Today I’m telling you about a new book that is perfect for anyone who has a dream of turning their love of food into a career. It’s Cooking Up a Business by Rachel Hofstetter, former food editor of O, The Oprah Magazine. Read on to find out all about the book, my chat with Rachel and to find out how to win one of two copies of the book. 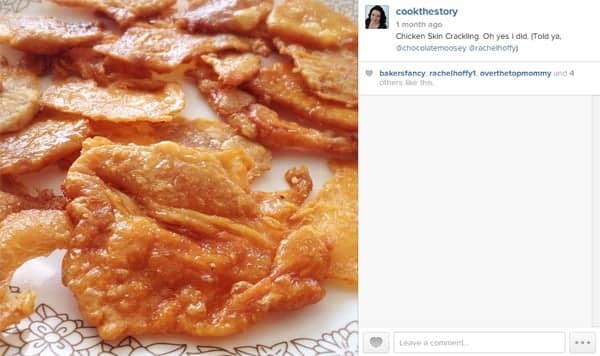 When I told Rachel Hofstetter that I’d be leaving our phone conversation periodically to check on some Chicken Skin Crackling crisping in my oven, she was more than understanding. As the former food editor of O, The Oprah Magazine, Rachel has talked to her share of multi-tasking cooks. I was chatting with Rachel to learn about her new book, Cooking Up a Business: Lessons from Food Lovers Who Turned Their Passion into a Career and How You Can, Too. 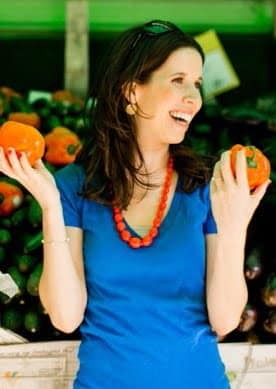 I wanted to know how she came up with the idea, why she chose the stories in her book and what advice she had for would-be food entrepreneurs. Before we could get into it though, Rachel stopped me. She wanted to know more about my blog and the freelance work I do around it. She’s genuinely curious when it comes to someone with a food-related business. I told her the story about how I started blogging to practice writing while my kids were small. That bit of info reminded her of Quinn Popcorn, one of the companies featured in her book. The chemicals that line microwave popcorn bags had troubled Kristy and Coulter for some time. When Kristy was on maternity she decided to research a solution. A popcorn company was born! The chemicals are in the lining to stop the topping (all that salt and buttery goodness) from sticking to the bag; you want the topping to mix around and stick to the popped kernels and not to the paper surrounding them. With Quinn Popcorn the topping is added after the popping, thus no need for chemical-lined bags. Brilliant, right? Brilliant and successful. This company is really making it happen. They did a kickstarter video asking for $10,000 and one week later they had $30,000. Since then Kristy’s been on Katie Couric and elsewhere talking about the product and the company has really grown. People love finding out about this product and they want to buy it too. So what makes Quinn Popcorn a successful product? One of the first things Rachel recommends is to avoid selling perishable products. Perishable food items are much harder to start a business around (there goes my Chicken Skin Cracklings idea!). There are big regulatory differences, tons of paperwork, storage, short shelf-life and more to worry about. The trade-off, she says, is that there’s less competition in the perishable market, so not all is lost if you go that route. Just be warned that there will be hurdles. Second is to keep it simple. Think about Quinn Popcorn: At its core it’s just popcorn kernels in a bag with topping on the side. Another good example is the success of Justin’s nut butter. He’d been making nut butters for awhile and then decided to put peanut butter into individual serving squeeze packs. So simple. But so brilliant. (Check it out: He now has all kinds of nut butters in squeeze packets. I’d love to get my hands on the Maple Almond Butter for sure). Third, products that solve a problem are best. Quinn Popcorn is very simple, yes. But at its core it solves the real problem of chemicals in microwave popcorn. Similarly, Justin’s Nut Butter makes messy peanut butter easy to carry for a convenient snack. Finding a simple solution to an existing problem is always a great start. Such useful advice from someone who has talked to so many food people over the years. Since talking with Rachel I’ve had the chance to read her book. There’s a lot more advice and information in there. And it’s all packed around fascinating stories about regular people who have started successful food companies. If you’ve ever thought of starting a food-based company, or if you just love learning about people with a passion for food, this is a great read. Now that I’ve finished reading it, I’m sending my copy to my dad because he’s always dreamed of marketing some of my mom’s recipes. He would learn a lot from the advice and stories in here. If you’d like to learn from this book too, enter to win below. 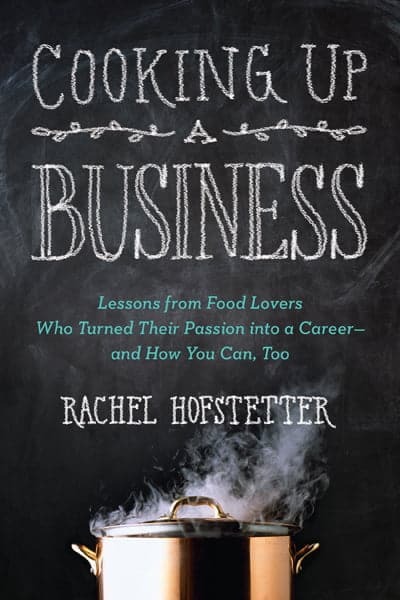 I have two copies of the book Cooking Up a Business by Rachel Hofstetter up for grabs. Scroll down to enter. Click on the crackling to follow me on Instagram. 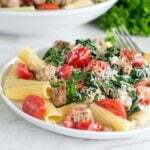 My pictures will make you HUNGRY! I love cooking and everyone says I should something with my passion that will also bring in some income. Would love to wi. This book! Christopher, how exciting! 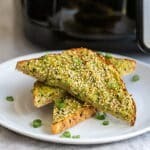 Do you have recipes that you want to use already? I love finding new BBQ spices to try out. Have many as been doing bbq and doing bbq competitions for last couple of years. My brisket rub has about 18 spices in it and the sauce plenty as well. I would love to have a small gourmet shop where I can sell all my favorite local products, as well as a few I cook up! 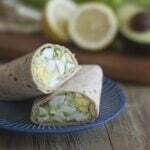 I would like to start an online marketing agency specializing in helping food related small businesses and startups succeed. i would love to have a beer bar and serve food. Justin’s is pretty wonderful, and such an easy concept. This is really informative, thanks Christine. As an fyi, I haven’t been able to get Rafflecopter to work for entries for several weeks (here and elsewhere). Not sure why. I’d love to do start some kind of sweet food business.